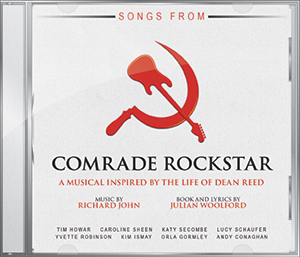 Reed was an American who defected to the Soviet Union at the height of the Cold War to become the biggest star behind the Iron Curtain, only to see his life and dreams collapse as Perestroika crumbled the Eastern Bloc. "the creative team behind this show should be applauded for putting out a surprisingly visceral and inviting cast recording … some good tunes that might as well have been from Dean Reed’s era grant some authenticity to the show … I would be interested in seeing a full-scale production in the future." "I was pleasantly surprised! It really got my attention … the cast, as always with SimG Records, is exemplary … hopefully after this wonderful cast recording we may soon actually see a fully-realised production." 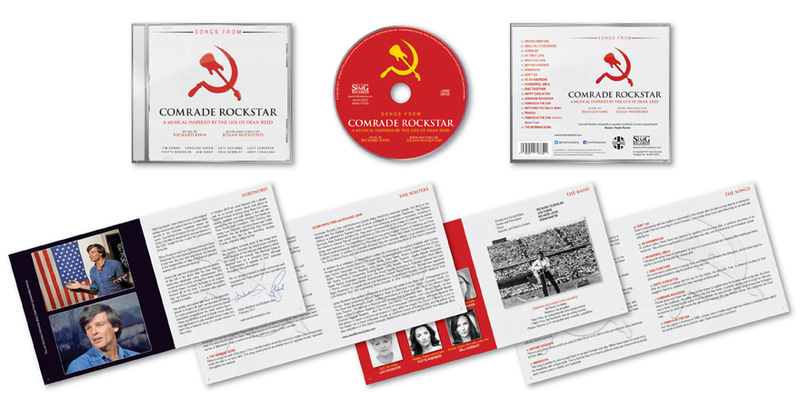 "Comrade Rockstar is full of incredibly talented performances and an incredibly complex character at the centre … motivational rock with comforting and familiar lyrics"
8/10 "Great to see more new writing being promoted by SimG Records. There are some beautiful songs here, not least ‘Happy Ever After’ performed by the always-excellent Caroline Sheen, and also ‘Don’t Go’, performed By Lucy Schaufer … booklet and production from SimG are, as usual, first rate, and there’s a good amount of detail in story and commentary." "a beguiling musical that you can certainly visualise on a stage … I really loved the incorporation of a gentle Americana … engaging and energetic, Tim Howar on fine form as Reed … on the gorgeous 'Minnesota', Howar and Conaghan combining beautifully … don't be too surprised to hear more about this musical in the future."